We have overhauled the crane onboard a vessel. Due to this vessel already had another job offshore, our challenge was to engineer and produce all (prefab) components while the vessel was still at the harbor and install the whole system while sailing from Cape Verdi to Stavanger under the most extreme weather conditions. Key was excellent preparation by calculating, engineering and prefabricating all components ‘plug-and-play’ to excluding installation challenged while sailing. This vessel is one of the largest pipelay vessels in the world and has set new standards in the pipelay industry. The vessel has been operational since 1998 and has since steadily improved her performance. Based on the same principles as their other pipelay vessl her long length and ship-shape ensures excellent workability, and a pipe carrying capacity of 22,000t makes her less dependent on offshore pipe supply in hostile areas. Precise maneuvering on full dynamic positioning allows the vessel to work safely in congested areas. To this vessel we have supplied and installed a total of 340 hoses with a length of 10mtr with sizes from ¼” till ½”. We have well trained personnel according OPITO and NOGEPA (Bosiet). Hydrotek (part of AVT) has manufactured all Offshore approved hoses, AVT HydrauliQ has installed them offshore. 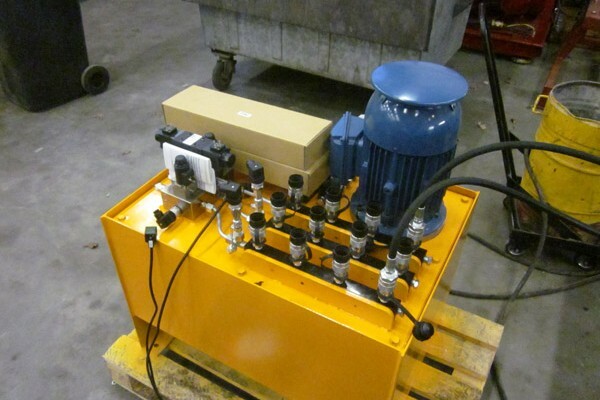 To jack-up constructional foundations we have designed a hydraulic powerpack to control 700 bar jacks, connected in series of 4-8-12-16 jacks. The powerpack is controlled by a multiple-axle control system with use of multiple jacks to level out subsided foundations. In this operation, the hydraulic jacks are driven at a constant ram pressure and by the displacement of the piston rod. 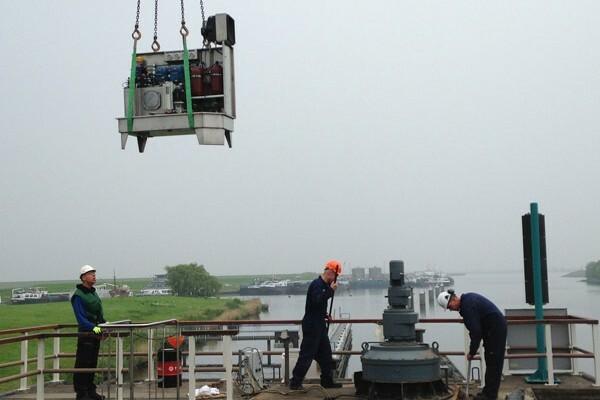 HydrauliQ has renewed the entire hydraulic system for the floodgates “Keersluis” for the Dutch Water Board located South West of the Netherlands. 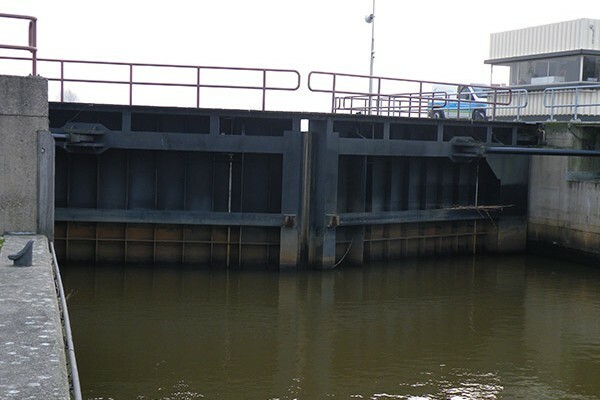 These floodgates are a prime barrier to guard the Dutch drylands from sea and river floodings. In this project the primary requirement was to create a more efficient hydraulic system and remain operational during this revamp. The electrical control system is completely revised, cylinders completely reworked, commissioned and we were contracted with a longterm service contract.